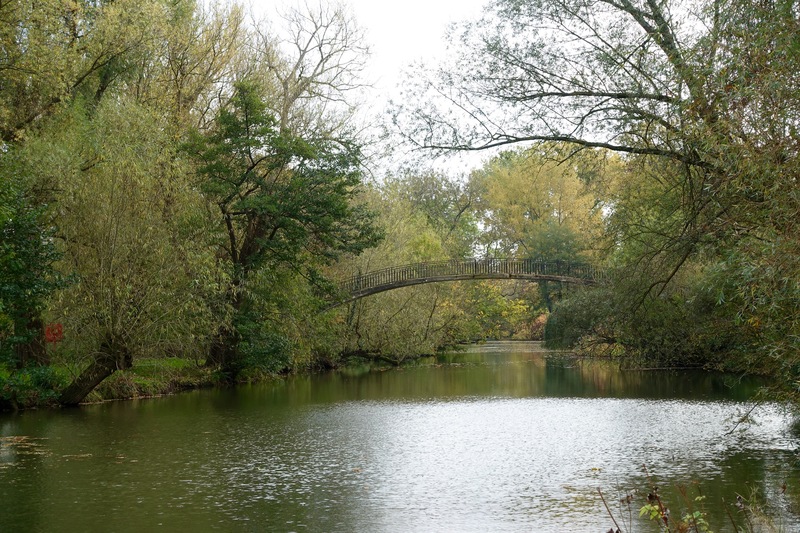 Bridge over the Cherwell River. After a weekend that included two train trips into and out of London, a visit to the Churchill Museum and War Rooms (more on that later) and two semi final matches in the Rugby World Cup, a quiet day was called for. Up late. Coffee. Read The Guardian. Peruse maps and guidebooks. Ponder the weather outside and decide if it would be a good day for a quiet walk. We’ve had this one on the wish list for some time, waiting for today, the right day. 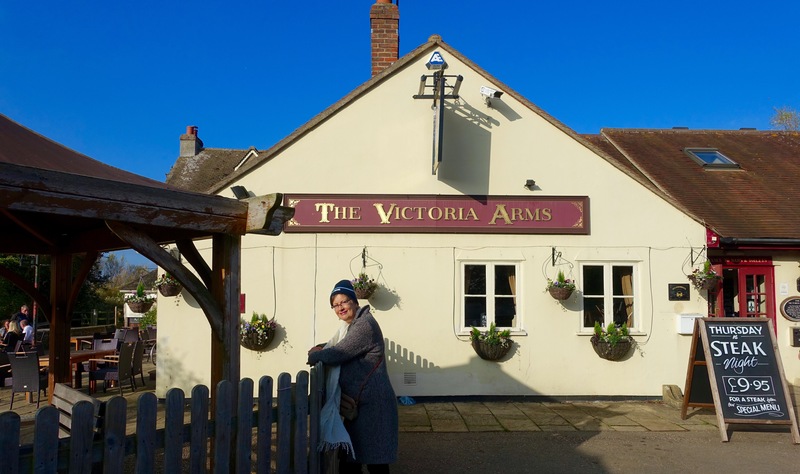 So off we went through the University Park in North Oxford, across the Cherwell River, past some of the colleges’ athletic fields, through Old Marston village and up to the Victoria Arms pub, the turnaround point for the walk. 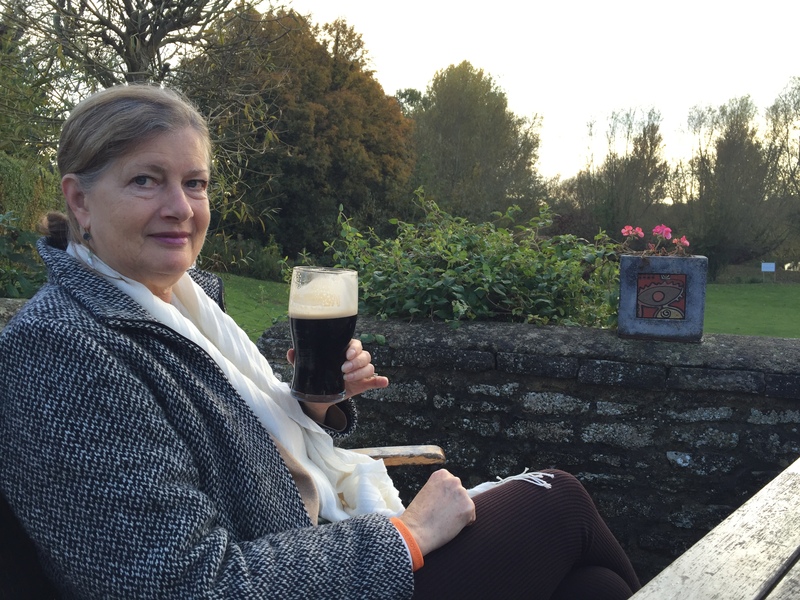 Of course, Kathy had to have a pint of Corvus Stout and I had to have my tea. The weather was nice enough we could sit outside on the deck. After the proper amount of languishing, we set off along the Cherwell until we returned to the foot bridge back into University Parks. Kathy on the deck of the Victoria Arms pub. 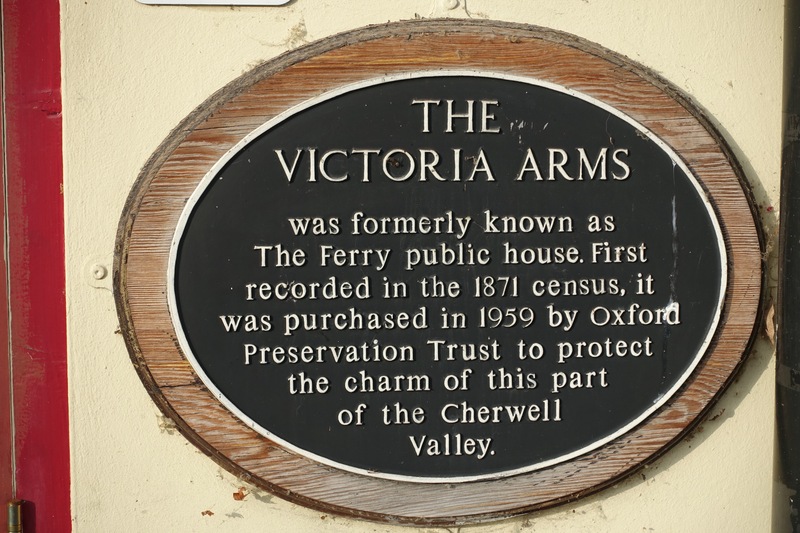 Posted on October 26, 2015 October 26, 2015 by jbsaulPosted in TravelTagged Cherwell River, Old Marston, Oxford, Victoria Arms.